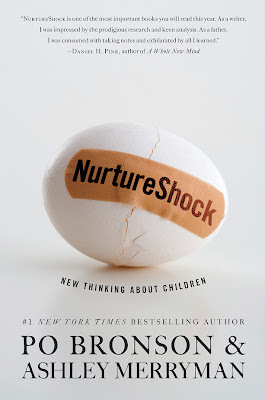 The central premise of this book is that many of modern society’s strategies for nurturing children are in fact backfiring – because key twists in the science have been overlooked. For some jobs, it can take a while to come up with an idea that you think is worth pursuing. Exploring endless ideas and directions with many, many variations both broad and minute. But sometimes you get a job where you know exactly what you want to do before the client is done with their intro brief. That was the case when Art Director Anne Twomey called me to discuss a new book on the subject of how we were raising kids all wrong by over praising them. I recalled reading a New York Magazine about this very subject. It turned out that the same authors wrote it. Over praising your child either develops high self-esteem and encourages them to strive higher. Or sets them up for failure. The authors use science to back up their claim that everything we thought about raising a child is working towards opposite results. Shocking! But whatever the opposing theories are, children were seen as delicate, fragile things caught in the middle. Treating them with kid's gloves. So by the time I hung up the telephone, I knew that an egg was the perfect metaphor. A white egg set against a white background. Simple and uncluttered. And the egg should be cracked. Suggesting both its fragile nature and the beginnings of coming out of its shell and ready to come into the world. I was going to shoot this myself but decided to see what was available through stock photos. I saw golden eggs, smashed eggs and cracked eggs. But visually, the idea was starting to look a little thin to me. Especially if I wanted to have the object against white. Then I saw an egg with a band-aid on it. That was a nice element of color to focus on. The band-aid could represent the child rearing that kept things together until it was ready to hatch. Or maybe it was stunting its growth and trapping them in a shell? It also made the perfect spot to the place the title. For a book that had a lot of attention and needed a “Big Book” commercial look, I’m happy that I was able to keep the execution clean and simple. The author's NurtureShock Blog on Newsweek. Art Director: Greg Avila // Sourcebooks, Inc. 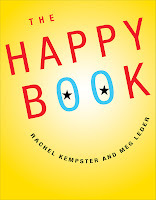 THE HAPPY BOOK shows how to practice and celebrate happiness so you can find it when you really need it. Packed with creative prompts, wacky ideas, and hip activities, this is the ultimate pick-me-up. 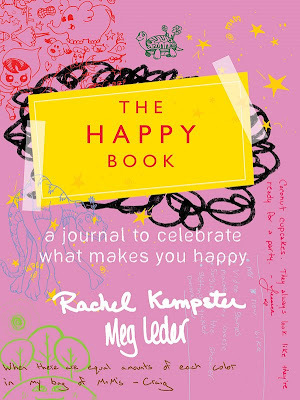 Packaged to encourage doodling and drawing, THE HAPPY BOOK has space to scribble thoughts, make lists, fill in the blanks, and paste pictures. This book is about creating a record of what makes you glad, whether that means '80s hair bands or hot chocolate with churros. 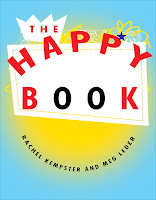 Fully interactive and customizable for each reader, THE HAPPY BOOK allows today's social networking fans an offline outlet for play. From photo scavenger hunts to cake baking to finger painting, everyone's happy formula is unique. 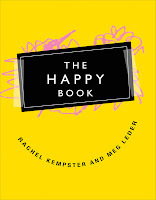 THE HAPPY BOOK enables readers to celebrate and share whatever gives them wall-to-wall joy. 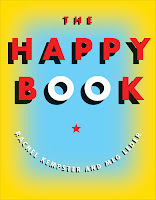 This is a happy book I designed for my friend Rachel. 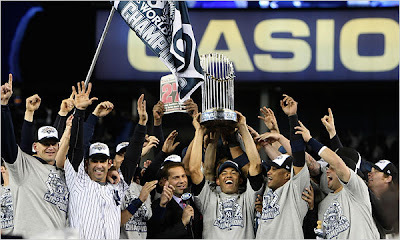 I'm going to put in drawings of the World Series Champion NEW YORK YANKEES. Because THAT, makes me very happy.